It's taken me a long time to write this post, partly because I was trying to find the words to adequately put my thoughts and feelings into words. 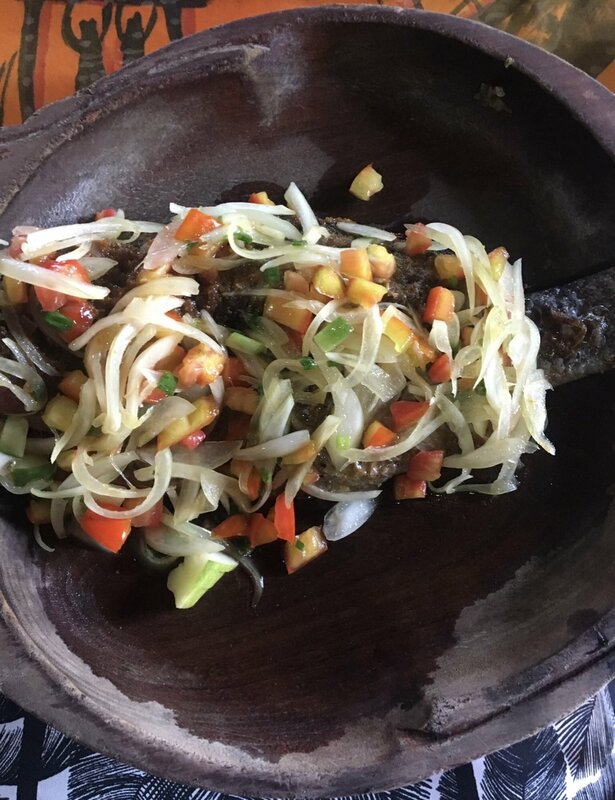 I've visited and lived in countries in Southern and Eastern Africa (Zambia, Tanzania, South Africa and others), where I've immediately felt a connection to their cultures. Black people are super dope all over the world (#WakandaForever!). However, I also knew there was minimal chance my ancestors were from there and thus I knew their cultures weren't mine. But then I went to Ghana. I spent a full week in Ghana, visiting places around Accra and touring Cape Coast Castle, where many Africans were enslaved and shipped to South America, the Caribbean and United States through the transatlantic slave trade. Let's be clear about one thing. Slavery existed in Africa prior to the transatlantic trade. Ghana was the trading capital for Portuguese and other Europeans for hundreds of years before the British arrived. According to the Tracing Center, "the trans-Saharan slave trade sent more enslaved Africans east to the Muslim world, over many centuries, than would be transported west to the Americas." Ghana served as the center of the British slave trade for 150 more years, sending Africans who were kidnapped and enslaved during tribal warfare to the West. Western traders bartered with Ghanaians, trading manufactured goods for enslaved Africans. I could literally feel our ancestors' spirits as I walked the grounds. (I want to make a note to say I have stopped using the term "slave." Our guide at Cape Coast Castle said to us that those 'slaves' were people with families, jobs, and lives before they were captured and sold into slavery; therefore, I now refer to them as "enslaved Africans.") Ghana made me feel so...full. It was everything I didn't know I want it to be and more. Slave Castles. I've been to other sites that memorialize the slave trade, but none hit me quite like my visit to Cape Coast Castle. We learned that enslaved Africans would sometimes be forced to walk from Nigeria, Benin and other West African countries to Ghana in order to be sold into slavery. Our guide showed us where the enslaved Africans were housed, the most shocking place of which was under a church. Yup, a church. Enslavers created vents on the floor of the church so that the enslaved Africans housed underneath could be indoctrinated with Christianity while imprisoned. Without water or sanitation, the floor of the dungeon was covered with human waste, causing many people to fall ill or die. I also walked through the 'Door of No Return', a door our ancestors walked through as they were forced to board ships that would later take them around the world. It was a powerful moment for me. While I always knew what our ancestors endured, it felt different actually being there and feeling their energy. 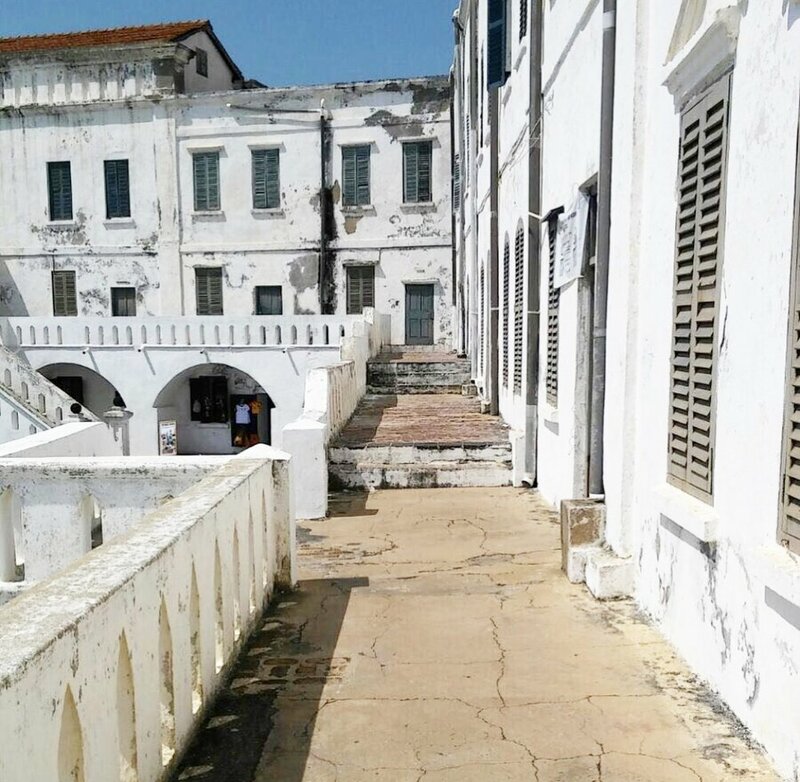 There are other slave castles like St. George's Castle and Elmina Castle, but I chose to visit Cape Coast Castle since it's the most well-known. We're related. Okay, not really but probably! Ghana the only country (so far) where I feel like the people legitimately resembled black Americans. As I was out to dinner one night and the restaurant was full of people, I took a moment to look around and savor the moment. What I noticed was that everyone looked like my friends and family. Had I not remembered that I was in Ghana, you couldn't tell me that I wasn't in Baltimore or D.C.
Shopping. Ghana is my 9th African country and I swear, it had some of the best shopping I've seen on the Continent. After a while, many of the items start to look the same everywhere you go, but I found unique pieces of art, clothing and household wares that I've never seen anywhere else. If you're visiting the Kumasi area, visit the Centre For National Culture where you participate in workshops for kente-cloth weaving, batik cloth dyeing and more. There's also a Centre for National Culture in Accra where I found most of my favorite pieces. Africa is dope. I know Africa is a continent, but there's nothing like being surrounded by and engaging with other brothers and sisters. The feeling is euphoric and both easy and hard to explain. This is why I'm hooked on traveling throughout Africa. It has its challenges, yes, but it is oh so rewarding. I didn't have a chance to visit Kumasi, Kakum National Park or other famous places in Ghana, but that's just all the more reason for me to return. I look forward to visiting other West African countries too. I have my eyes on Senegal, Cote d'Ivoire and Sierra Lione. I encourage you to put an African country, especially a West African country, high on your travel list. We owe it to our ancestors. Our guide taking us to the dungeons. Outside the Door of No Return, where Ghanaians are living and working. 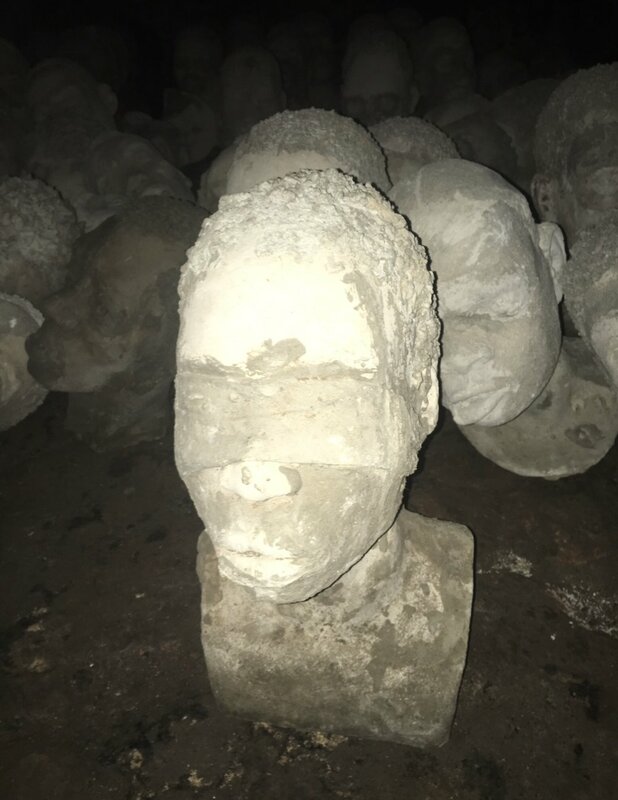 In the dungeons, 1,300 concrete heads are on display that depict some of the lives that were transplanted. Each is different and show the possible faces of Africans slaved at Cape Coast Castle. If you're in Accra, go to Chez Clarisse! The food is soooo good.